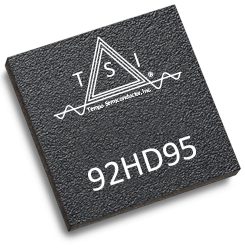 The Tempo portfolio of HD Audio Codecs supports from 2 to 10 channels of audio while providing low power consumption and configurable power management, pop/click mitigation, and advanced software & hardware-based signal processing. 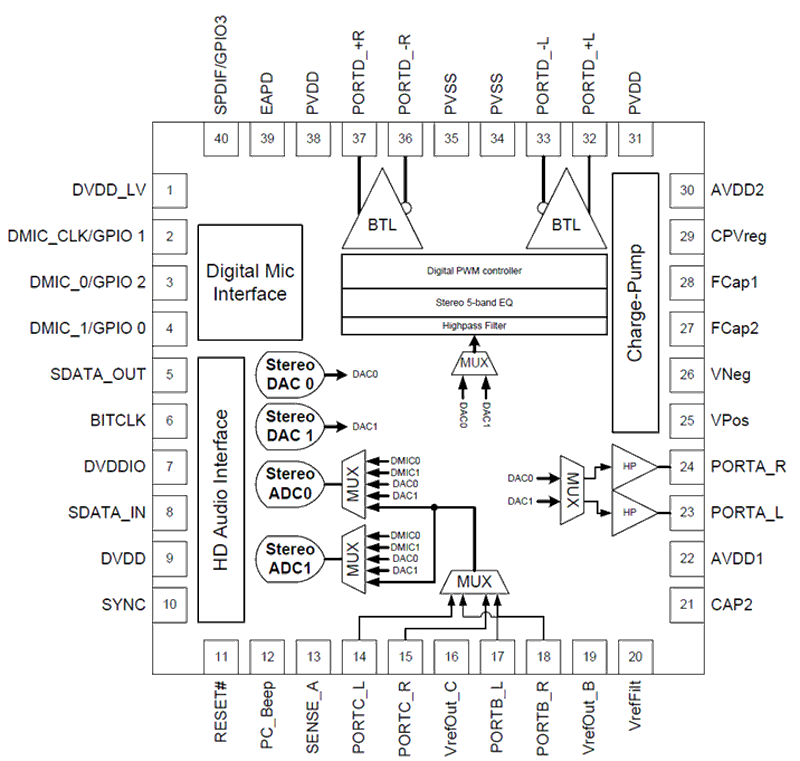 2 channel HD Audio codecs are ideal for Linux-based embedded applications. Linux driver support for this HD Audio Codec, like all of our HD Audio Codecs, is already included in the kernel. Please note that you may need to search for IDT.